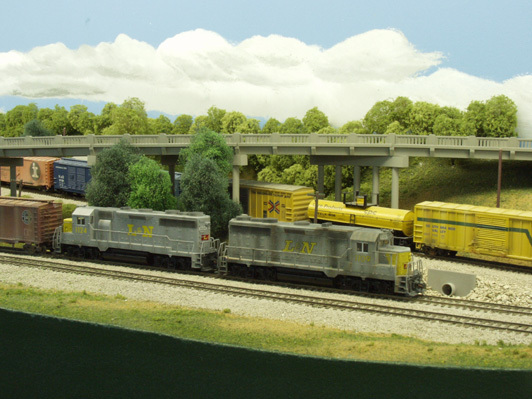 Rix Model Railroad Layout – Rix Products Inc.
National Model Railroad Association Tour. Most of our product ideas come from being involved in the hobby. This layout is the reason for many of the item’s that I have done. 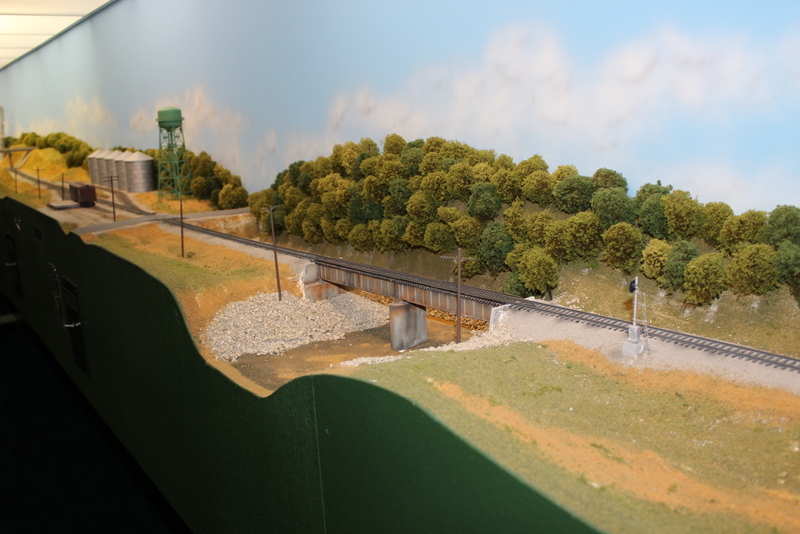 This layout is modeled after a real line which runs from Evansville IN. to Nashville TN., It’s called the “Henderson Subdivision”. This layout is located in the basement of my home which was built to the dimension of the layout (35 X 110 foot) so that it would fit in it. It takes 12 people to run the railroad properly but can still be run for fun with just one. 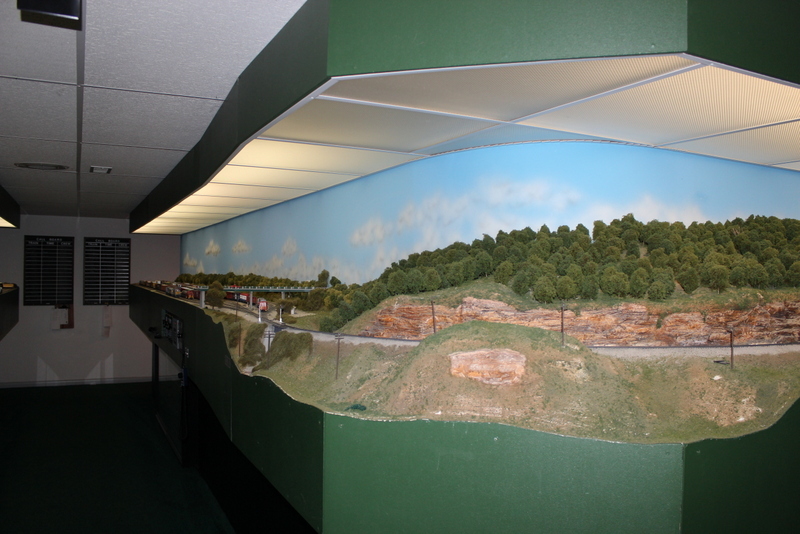 This Layout can be seen in Model Railroader magazine’s cover story in September issue 1991. Also in Video from Allen Keller’s Great Model Railroads #9. 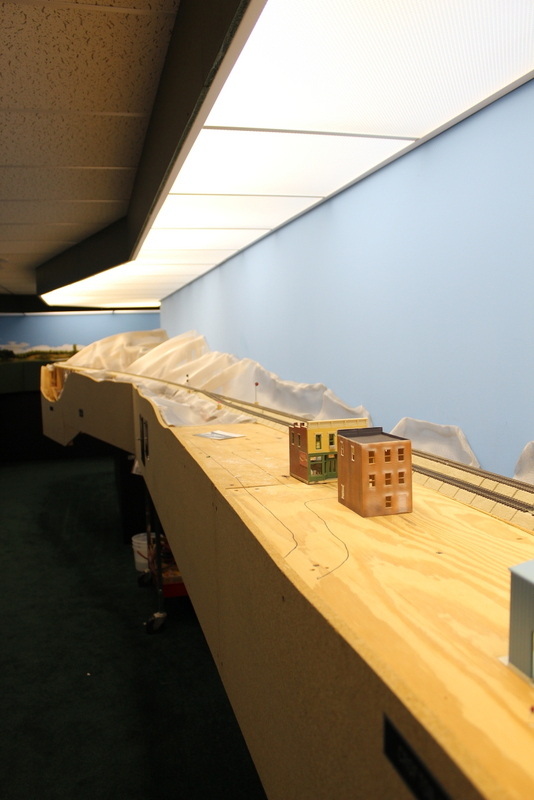 Here’s two shots of the beginning of the layout. (The staging yards) Trains on the right are out side of Evansville In. Waiting to come in to Evansville’s Howell Yard. Trains on the left are in Nashville’s Radnor Yard and waiting for the dispatcher to give them a signal to enter the single main line on they way to Evansville. From here you will walk some 500 feet with your train passing through many towns along the way, dropping and picking up cars from smaller yards as you go. Overall view of 70 foot long hall. Evansville is on the right and Amqui TN (Tunnel). is on the left. There are a total of 5 such halls. North Howell Yard Evansville IN. South Howell Yard Evansville IN. The CTC Machine, controls all of the mainline signals and turnouts. From here the dispatcher is in control of all the traffic on the railroad. As many as 8 trains maybe on the single main line at a time. The dispatcher has to keep their mind on what their doing to prevent a train wreak. 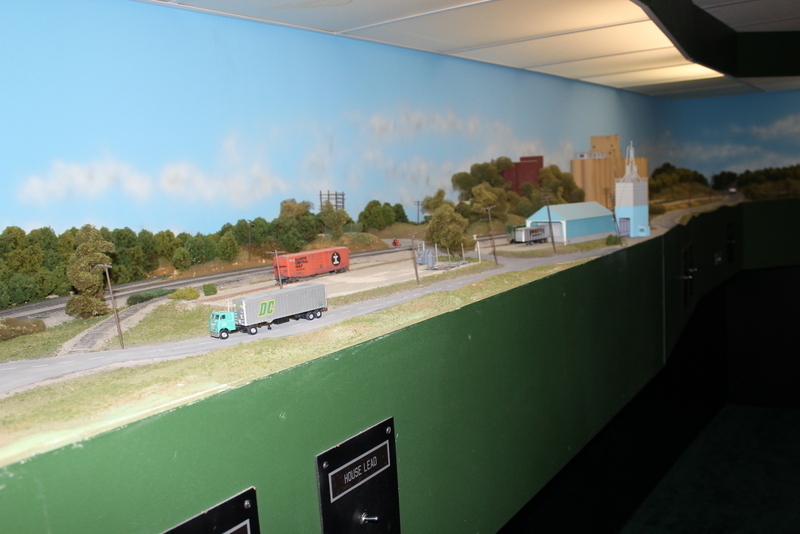 The layout is interfaced with a computer, using Bruce Chubb’s “Computer / Model Railroad Interface C/MRI”. The computer allows the CTC Machine, Signals, Scale Speedometers, Fast Clocks and Short Circuit Protection to work.